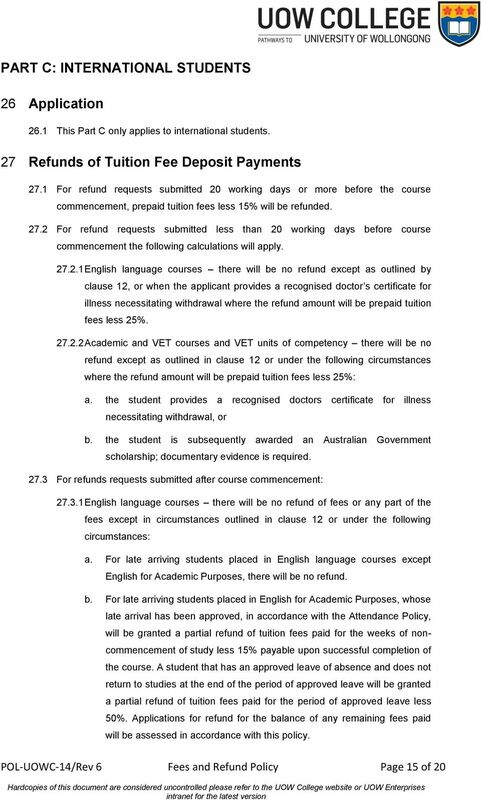 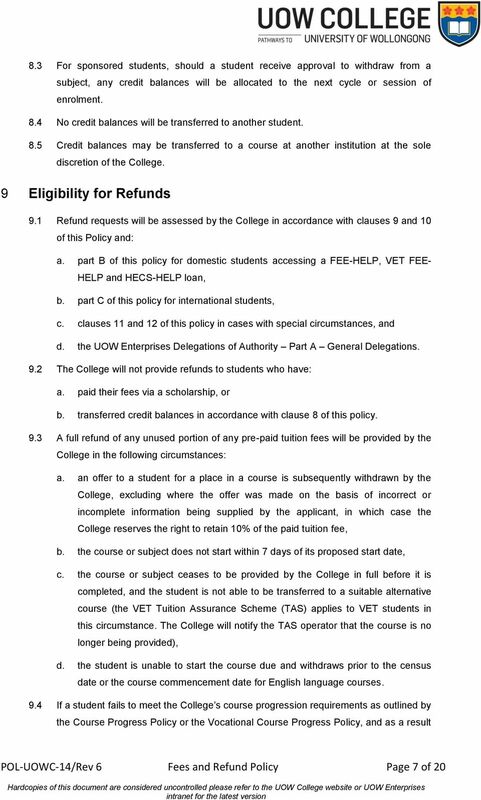 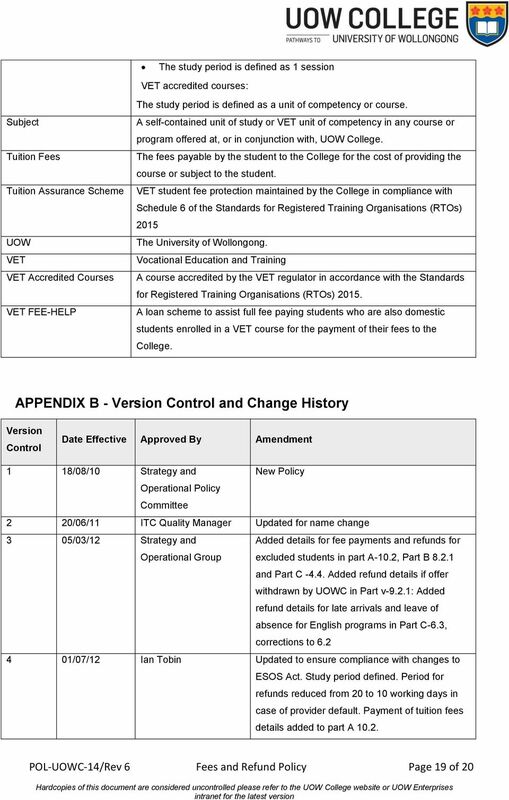 Download "FEES AND REFUND POLICY"
Fees, Charges and Refunds Policy and Procedure Introduction Fees, charges and refunds within the VET sector are tightly and carefully regulated to ensure that students and other consumers are protected. 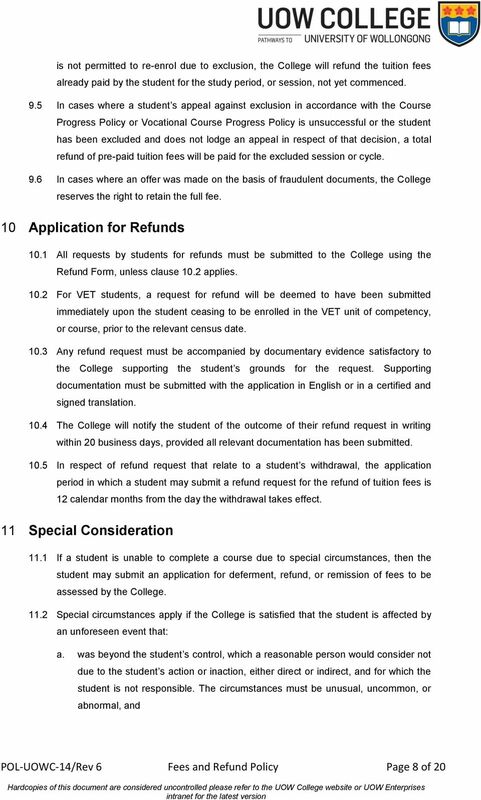 When you complete a subject from the Diploma of Interior Design + Decoration (MSF50213) you will receive a statement of attainment. 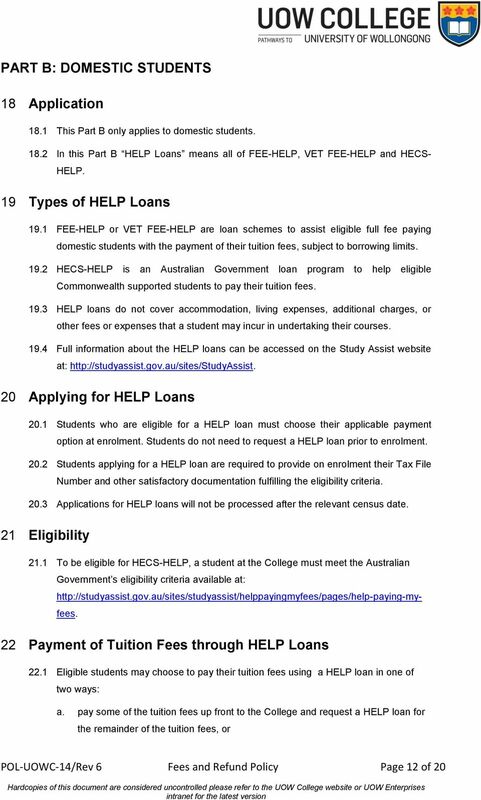 HECS-HELP. 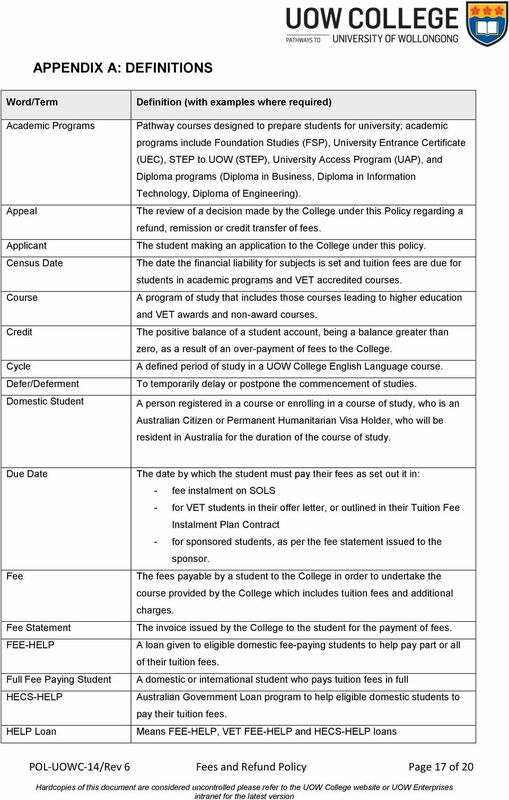 Commonwealth supported places and HECS-HELP information for 2013. 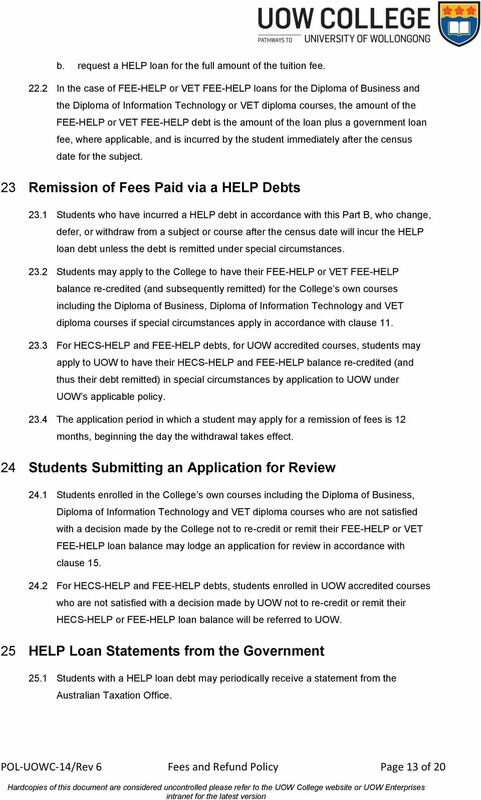 Need help paying for your uni degree? 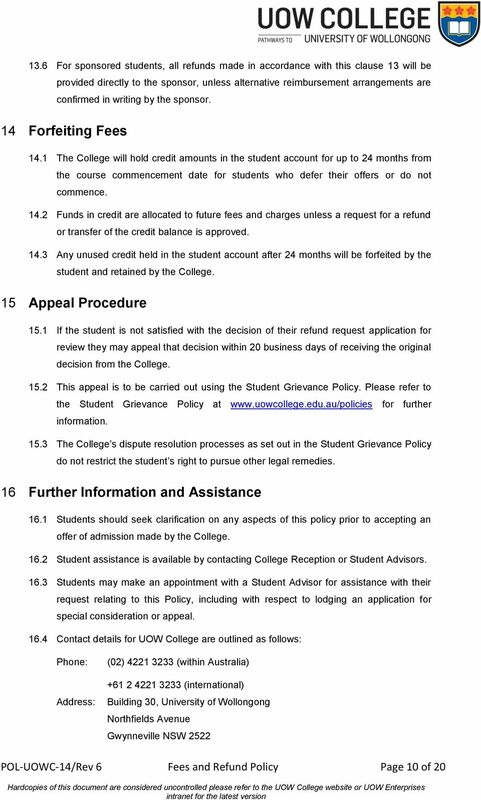 www.studyassist.gov. 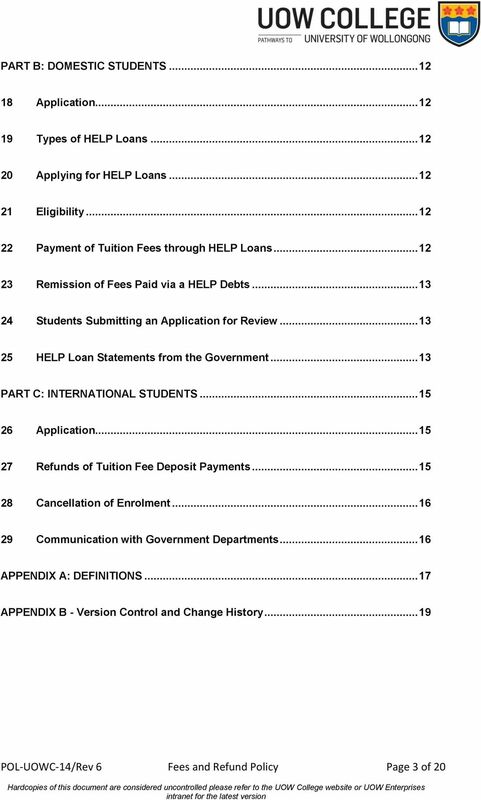 YOU MUST READ THIS BOOKLET BEFORE SIGNING ONE OF THE COMMONWEALTH ASSISTANCE FORMS BELOW. 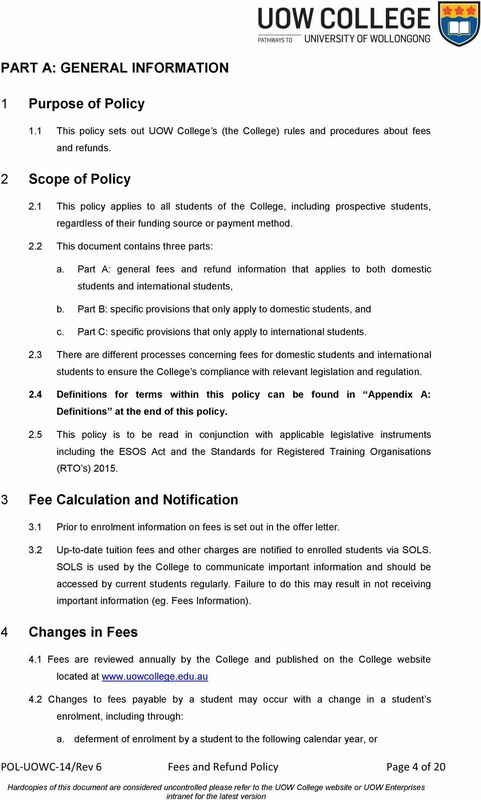 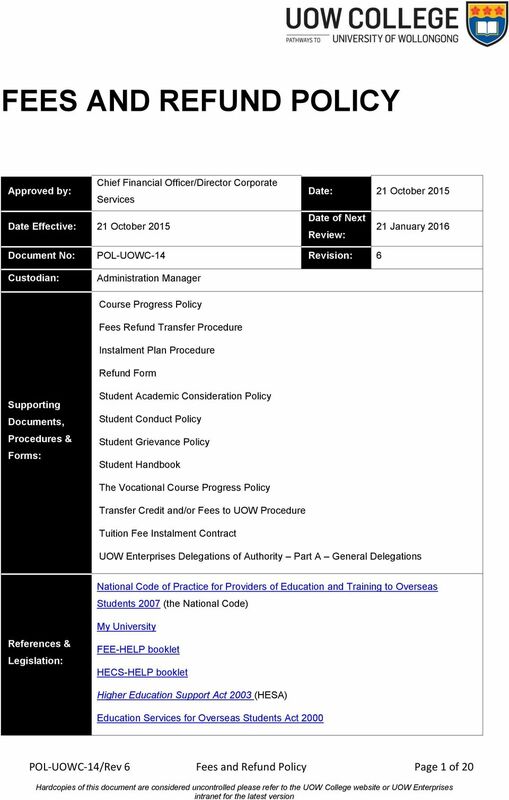 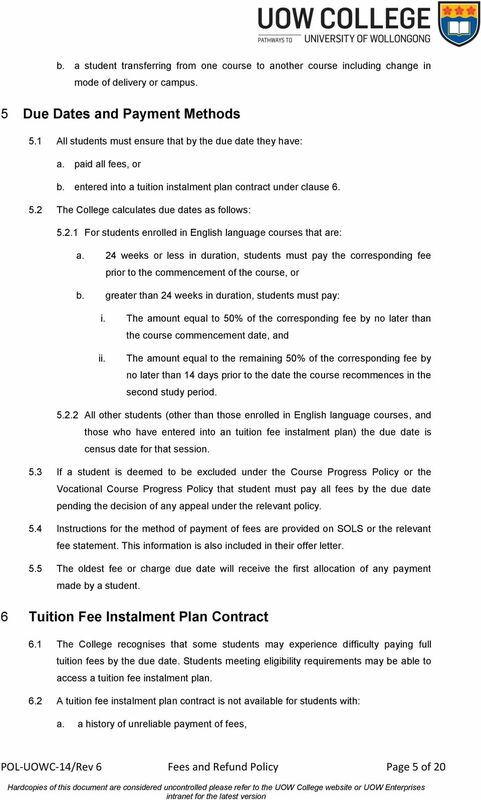 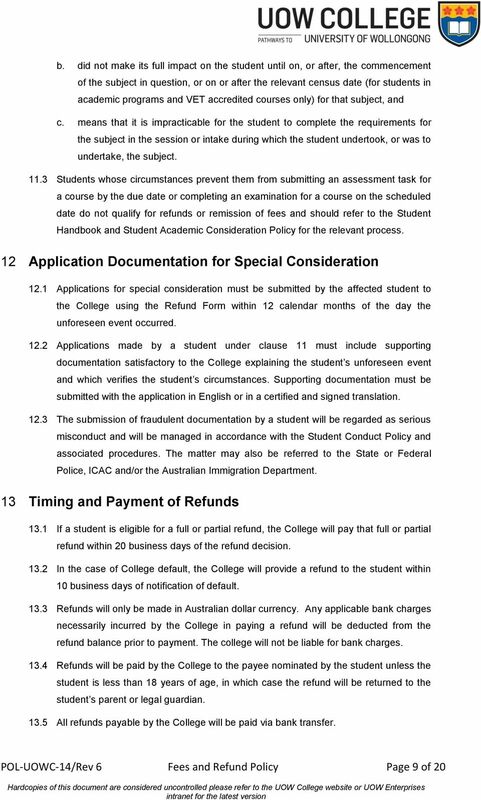 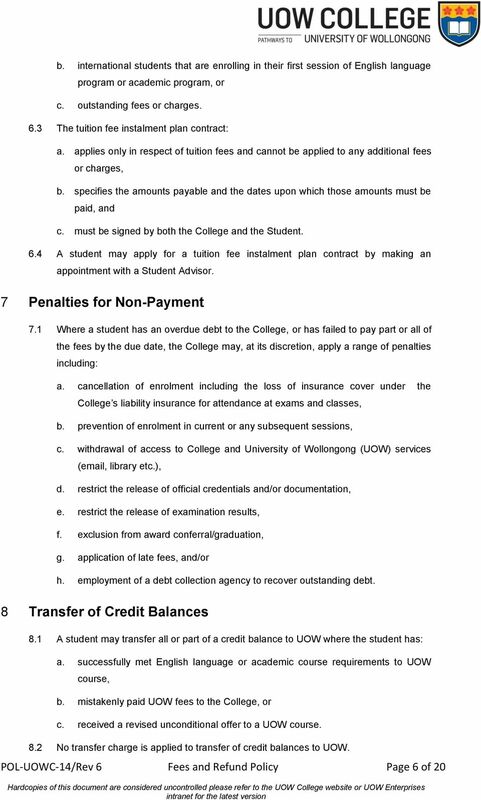 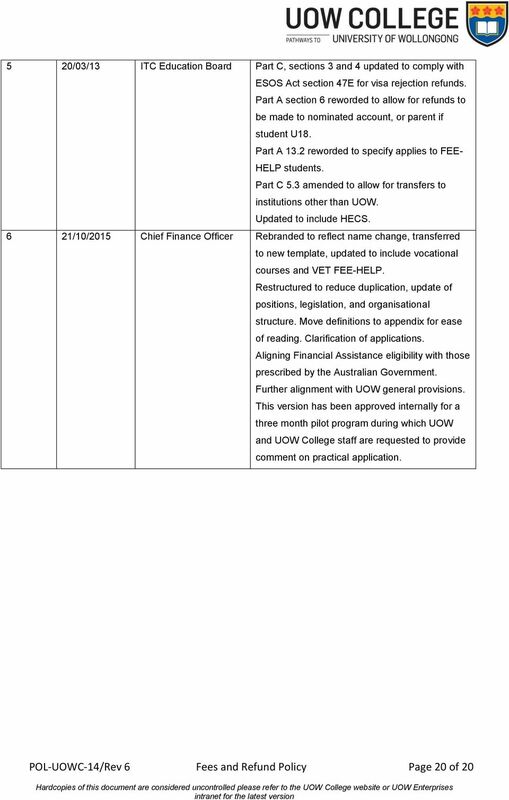 SENATE REGULATION 10: Student Financial Regulations Introduction The University s general policies relating to the setting and payment of tuition and other fees are set out in Council Ordinance 10 (CO10). 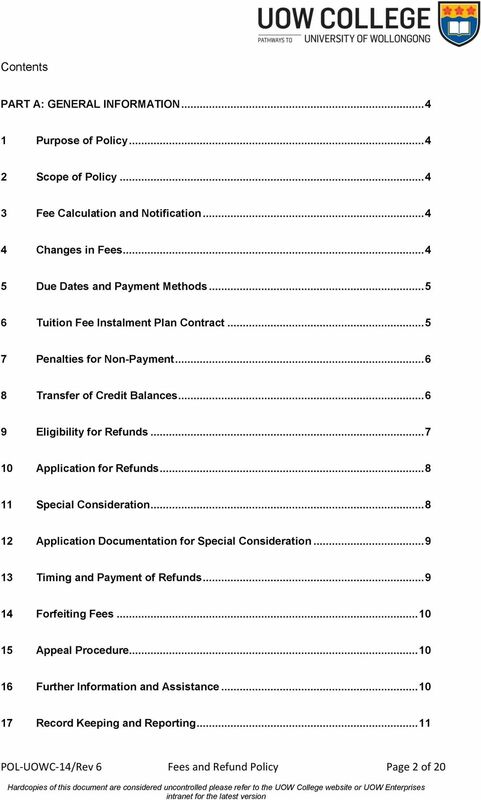 YOU MUST READ THIS BOOKLET BEFORE SIGNING A COMMONWEALTH ASSISTANCE FORM BELOW. 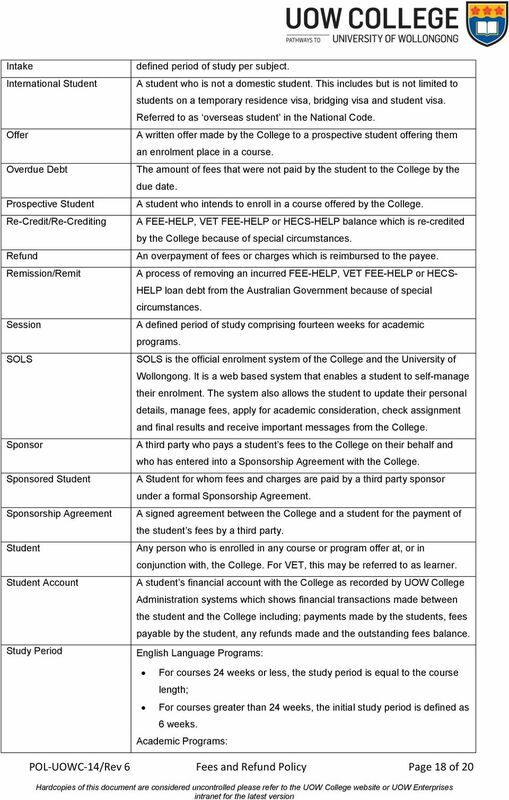 management marketing business event management tourism graphic design 2011 fees and start dates international students > martincollege.edu.